RIM is leveraging its (relatively) strong reputation for mobile security with the upcoming BlackBerry Mobile Fusion, a mobile device management platform with a twist. 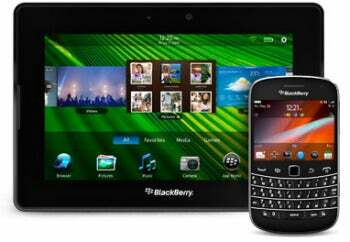 BlackBerry Mobile Fusion will cover BlackBerrys and PlayBook tablets, and it will also support competing mobile OSes, including Apple's iOS and Google's Android. Is this a sign that RIM is getting out of the hardware game and focusing on IT management, or just an opportunity for the company to make up for missteps in the market and play to its core strengths? But not all of BlackBerry Mobile Fusion's settings work on Android or iOS. Alan Panezic, the vice-president for RIM's enterprise product management, told Reuters that BlackBerry Mobile Fusion "will take full advantage of whatever security capabilities are provided by the core operating system." That means, despite its best efforts, RIM hasn't discovered a way into Apple's notorious walled garden. Though currently absent from the guest list, the Windows Phone mobile OS may get a chance to join the party later on. Panezic added the company will extend support to that platform that if there's enough demand. Is RIM Getting Out of the Hardware Game? RIM has had a rough year. The company has fallen behind iOS and Android in popularity, both for consumers and businesses. Network outages in October led to widespread abandonment of RIM products and a class action suit. And RIM's attempt at a tablet, the BlackBerry PlayBook, met with underwhelming sales that resulted in a desperate price cut. However, even with a lot of negative press and corporate apologies, it's too early to tell whether or not BlackBerry Mobile Fusion is an olive branch to the competition or a white flag of surrender in the hardware business. It's a hardy strategy, though. If BlackBerry Mobile Fusion recaptures the attention of the enterprise--even companies using iOS or Android--RIM could still maintain an important role … even if nobody's using a BlackBerry.